Peter Bingeman was appointed the inaugural Chief Executive Officer of Visit Victoria in May 2016. Having achieved a double degree in Economics / Marketing and Philosophy at the University of Melbourne, Peter commenced his fast-moving consumer goods career with Procter and Gamble and has since worked for Cadbury / Schweppes, Kraft and Mondelez. Over the last decade Peter has held senior leadership positions across sales and marketing. He has been instrumental in organisational success where acquisitions have changed the landscape considerably. Prior to joining Visit Victoria Peter was Managing Director, Malaysia, Thailand, Singapore, Vietnam and Indochina with Mondelez International. Having lived In Singapore and Malaysia for four years, Peter brings his global business, change management, and strategic marketing / sales experience to Visit Victoria. Prior to working for Visit Victoria and the Melbourne Convention Bureau as General Manager of Corporate Services, Keith Herdman worked at Ansett Australia as Finance Manager and Air Nauru as CFO. Nicki Kenyon is a results-oriented, strategic-thinking Business Executive, with an exemplary record of building businesses and brands across Asia Pacific, for global corporations and start-up companies, in emerging and established markets. She has held leadership and change management roles in diverse industries including Technology, Financial Services and Travel, with companies such as Facebook, Visa, Cathay Pacific and AsiaRooms.com. Nicki is an innovative, inspirational, multi-dimensional leader who motivates teams to work collaboratively to achieve common business goals. Brand-oriented and business-results focused, she is passionate about brands + consumers connecting in a digitally oriented world. She thrives on making a tangible impact in a commercial environment and is at her best in hardworking cultures infused by a strong sense of freedom and fun. 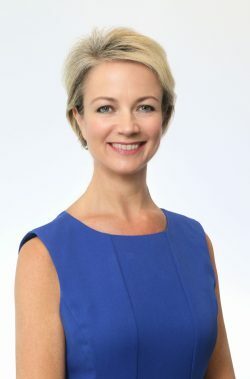 Nicki has held Executive Board positions, is a Singapore Committee member of the Australian Institute of Company Directors, and is currently a non-Executive board member of Shootsta. Prior to his current role Damien de Bohun was the Head of the Hyundai A-League, overseeing the transformation of the competition and securing its place in the mainstream of Australian sport. He remains the A-League’s longest serving and most successful chief, and was a key proponent of the successful Westfield Women’s League (W-League), FFA Cup and the National Youth League competitions. In 2005 he was appointed Executive General Manager, Game and Market Development at Cricket Australia where he was responsible for growing participation in cricket by more than 70%. Earlier in his career, Damien was CEO of the Leukaemia Foundation of Victoria, establishing The World’s Greatest Shave for a Cure and other significant initiatives. Damien has a double degree in Economics and Marketing at Swinburne University of Technology and a MBA (Exec) RMIT University. Julia holds a Bachelor of Business (Catering and Hotel Management) and a Master of Business (Hospitality and Tourism Marketing). Her sales experience includes 13 years’ experience in a number of international hotel chains. Matt began his career as a graphic designer working at boutique agencies and in-house at AXA Australia - specialising in corporate design and brand development working on high profile brands including CPA, TXU, Fosters, AXA and BHP. Following a career in graphic design, over the last decade Matt has worked in various communications roles across Victorian Government acquiring expertise in media and stakeholder communications including crisis communications, corporate and internal communications, digital and social media and creative services. 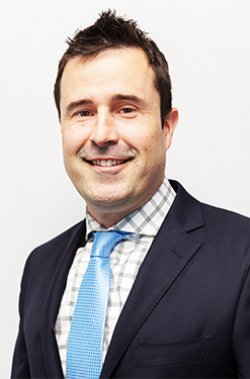 Most recently Matt led the corporate communications function at the Department of Economic Development, Jobs, Transport and Resources, as Director of Corporate Affairs, followed by leading communications at the Victorian School Building Authority as Director of Communications. Having worked at an executive level with the Victorian Government Matt brings significant government relations and stakeholder relations expertise to Visit Victoria. Paul has been involved with the tourism and transport sectors for over 25 years and was previously a national judge for the Australian Tourism Awards and Victorian Tourism Awards. In 2014, he became the Chair of the Victorian Tourism Awards Mentoring panel after supporting businesses with award submissions since 2010. He has also a past mentor for Destination Melbourne’s Tourism Leadership program. 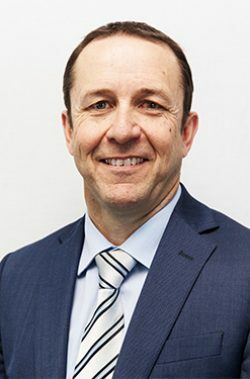 Paul has held senior leadership positions with Yarra Trams, V/Line and VicRoads and In 2010 started his own transport and tourism consultancy ttChoice. In 2006, he developed tramTRACKER, a real-time tram arrival initiative accessible on any mobile device or digital channel which was a world first at the time. Other initiatives include the development of the City Circle tram, the implementation of Quiet Carriages and a tourism app for V/Line and the development of VicRoads digital channels. Peter has over 20 years’ experience in human resources and business operations in the public and private sector, including NAB, Ambulance Victoria, Crown Casino and the Coles Group. Peter has also completed an MBA.